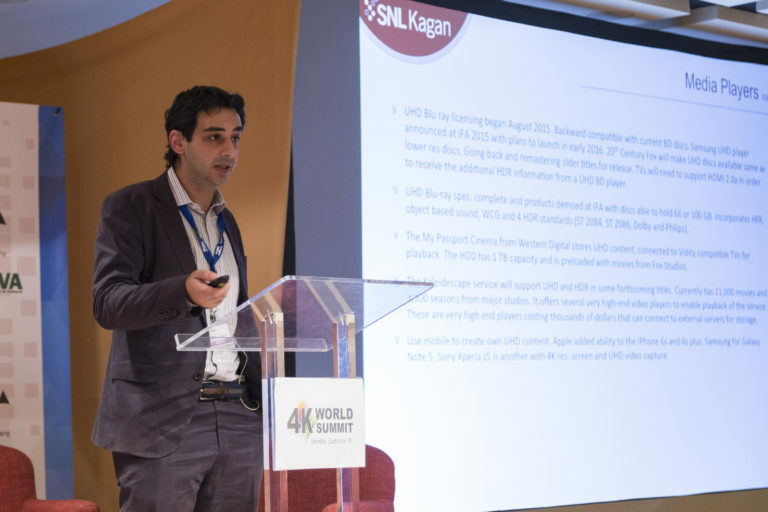 Mohammed Hamza, the international television and video analyst of the American consultancy Kagan (part of the Standard & Poor’s group, famous for its indexes on the New York Stock Exchange), will be one of the speakers at the 4K Summit, which will be held from November 7 to 9 at the Digital Content Hub in Malaga. Hamza has been invited by Medina Media, organizer of the 4K Summit, to give a keynote on the “real status of 4K” around the world. How many 4K televisions are already there and in what countries or regions of the world are they being sold, in what sizes and at what price? In what nations are there terrestrial transmission services and which are they preparing to develop? What are the contents that are being offered in the 4K channels or services? These and many other questions will be answered by Hamza at the 4K Summit, the main international 4K HDR event, which every year brings together companies, experts and attendees from more than 20 countries in the capital of the Costa del Sol. The British BBC, the Japanese NHK, the Ultra High Definition World Forum (UHD Forum), the European Broadcasting Union (EBU),…are some of the international organisations that have already confirmed their presence at the 4K Summit 2018. Movistar, Samsung, Sony, Eutelsat, RTVE, RTVA, Dolby, Panasonic, Fujinon, Canon, Rohde & Schwarz, Cellnex, Hispasat, Axión, Ateme, Nokia, Vestel, etc. are part of the multinationals that are present and sponsor this event, which this year celebrates its fourth edition. Mohammed Hamza was already an international analyst in the first edition of the 4K Summit in 2015 and one of the requests of the organization is that in his keynote analyze the evolution that has had in these four years the Ultra High Definition worldwide. Hamza has been an analyst at Kagan since 2010. He leads the team of consultants who examine the evolution of video channels and televisions in Western Europe. In addition, he is part of the Appraisals and Consulting group of the U.S.-based company. Kagan’s quarterly reports, as part of S&P Global Market Intelligence’s Information Service, are followed globally by the New Technologies industry. The group in which Hamza works studies the results and developments of all media, communications and entertainment companies on a daily basis. The 4KSummit brings together every year since 2015 ‘top engineers’ and leaders in Ultra High Definition content to share experiences with speakers, brands and attendees from more than 20 countries.